Our most recent shipment of the month involved moving two Cryo Tanks from Houston, TX to Del Ray Beach, FL. Each tank weighed in at 65,800 pounds and were 44’ long and 10’ 6” in diameter. The movement required the use of specialized stretch tri axle step deck trailers to accommodate both the size and the weight. 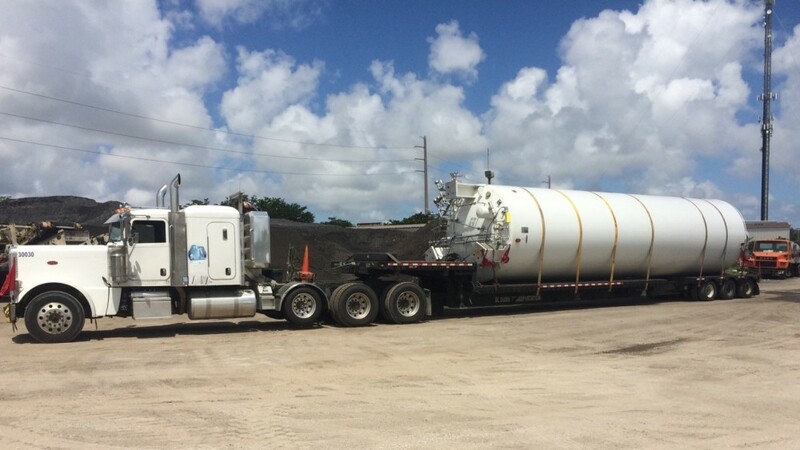 In addition to the special nature of the trailers, these shipments also required additional planning due to the loading and unloading requirements that included the use of cranes. As always our team successfully picked up and delivered these units on time and in budget!